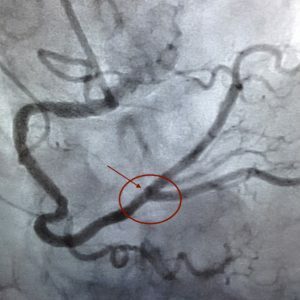 A stent is a tiny wire mesh tube. It props open an artery and is left there permanently. 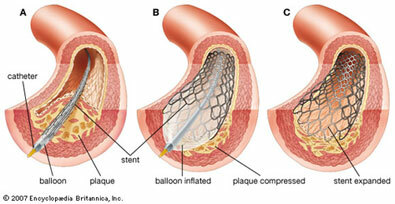 When a coronary artery (an artery feeding the heart muscle) is narrowed by a buildup of fatty deposits called plaque. 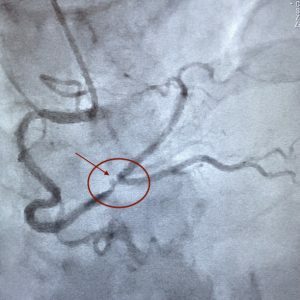 At the time of cardiac catheterization, if the blockage is deemed to be at least 70%, then a stent is placed to open up the artery. You will need a consultation with Dr. Chatham to go over the details of coronary procedures. Generally these are low risk procedures, but as with all things involving the heart, there is always some risk. Our goal at CHC is to answer all your questions and alleviate your concerns prior to any procedure. Chatham Heart Center is committed to providing you with the best cardiovascular care possible.